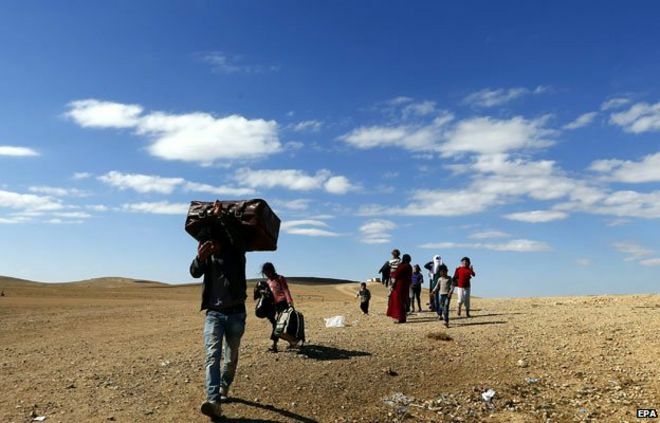 This third installment focusing on Syrian refugees will address what a refugee goes through when he or she finally makes it to the United States and what we, especially those of us in Colorado, can do to help. Once a refugee has passed the security clearance screening, they then fly to one of five designated airports in the United States. Border Protection checks their documents and conducts additional security checks. 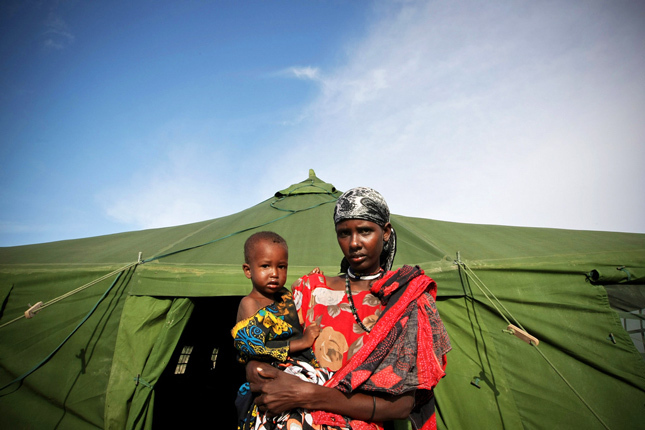 Then, the refugee is assigned to a refugee relocation services program. In Colorado, the Colorado Department of Human Services oversees the refugee relocation programs conducted by the Lutheran Family Services and the African Community Center. These two programs help refugees find a place to live, work, and study. They also help them learn English, find medical care, and provide lawyers who can help with their legal questions. In 2013, the last year for which statistics have been released, 1,708 refugees arrived in Colorado. They live in several towns and cities throughout the state, but mostly along the front-range, with the majority living in Denver. In 2016, nearly 50 Syrian refugees arrived in Colorado. Again, it bears repeating, in order for a refugee from Syria to enter the United States, that person must go through 18-24 months of extreme vetting. That vetting determines if the person poses any potential risks to the country. If a risk is discovered, they are not allowed in. Once a refugee is settled and integrated into a community, that refugee creates an economic benefit to the community. A recent study showed that for every $120-$126 of aid given to a refugee in Rwanda, that same refugee created an annual real income benefit of $205-$253 to the community. Utica, New York, a town that once saw dwindling numbers of residents and sustained economic decline, has now seen a turnaround because it has welcomed so many refugees. Economist Jeffrey Sachs points out that while there are some negative consequences to hosting refugees in a community (they pay fewer taxes and generally rely on social services until they can become established), they also add economic benefits by bringing added skills to the workforce and earning less than what they could contribute to society as a whole. Other cities, like Cleveland, have seen massive economic benefits in welcoming refugees. The city initially invested $4.8 million in resettling refugees. The economic benefit to the community resulted in $48 million, a 1000% return on investment. This is partly because refugees are often entrepreneurs who disproportionally create jobs and stimulate demands for new products and services in their local communities. Having established that Syrian refugees are extremely vetted, are moving to Colorado, and, if they are like other refugees, will create an economic benefit to the community, the question then becomes, how can we help them? Both Lutheran Family Services and the African Community Center need volunteers that will meet refugees at airports and then drive them to their new homes. They need volunteers who can furnish their apartments, teach them English, and act as a local guide to help them become acquainted with their new homes. The first part of this three-part series explained what the causes of the Syrian Refugee Crisis are and where the crisis stands now. The second portion of this series will explore the process a Syrian refugee must go through to receive asylum in the United States. This is important information for all of us to know because of the confusion, lack of information, and fear associated with allowing refugees from this war-torn area into our countries. The intent of this article is to give a clear and unbiased overview of what a Syrian refugee must go through to receive asylum in the United States. This information could also be informative when discussing how, if, and why we should welcome refugees into our communities. All refugees apply for asylum through the United Nations High Commission for Refugees (UNHCR). The UNHCR is an international organization under the United Nations that protects and assists refugees. Under UNHCR guidelines, an applicant may qualify for resettlement in another country if: (1) a well-founded fear of persecution based on race, religion, nationality, membership of a particular social group or political opinion can be demonstrated; (2) the applicant is outside of his or her country of nationality; and (3) the applicant is unable or unwilling to avail himself of the protection of that country. If such a person does qualify for asylum under the UNHCR’s standards, then that person will be referred to a third country for resettlement. If that third country is the United States, the refugee must apply with the federal Resettlement Support Center and go through a rigorous 18-24 month screening process. During the rigorous screening process, officials investigate refugees to ensure the refugee’s story is legitimate and that the refugee will not pose a threat to the health or safety of the United States. The screening involves the participation of the U.S. State Department, the Department of Homeland Security (DHS), the Defense Department, the National Counterterrorism Center, and the FBI. These agencies double-check the refugee’s personal biographical statement and use biometric information to ensure the person’s story and identity are legitimate. Moreover, these agencies check for connections to known bad actors, outstanding warrants, and other information related to whether the person is a potential security risk. Refugees are also interviewed by DHS agents and medically tested for communicable diseases. In sum, seeking asylum is the most difficult and stringent way for a person to enter the United States. What is different about the process for Syrian refugees? For Syrian refugees the process goes one step further by requiring them to go through the Syrian Enhanced Review process where the refugee applicant’s file is further scrutinized for accuracy and veracity. The U.S. government added this extra step especially for Syrian refugees “due to the circumstances in Syria.” These circumstances obviously include the war, but also the fact that ISIS operatives are fighting in Syria. As many have observed, the biggest fear in allowing Syrian refugees into the country is the fear that an ISIS operative might pose as a refugee and sneak through the system and commit an act of terrorism in the United States. To prevent that possibility, the U.S. government created the Syrian Enhanced Review. Today, Syrian refugees are subject to the highest level of security checks of any category of traveler to the United States. If there is any doubt about the veracity of an applicant’s story, the applicant will not be admitted. For the first several years of the Syrian Civil War the United States accepted a very small number of refugees. Up until last year, the United States received approximately 2,200 Syrian refugees while over 1 million fled to Lebanon. Last year, President Obama promised to increase the number of refugees to 10,000 by the end of the fiscal year (September 2016). That goal was reached in August 2016. The United States is in a difficult situation. In a post 9/11 society, where fears of domestic and international terrorism abound, we must weigh the concern for safety with our duty to welcome and care for refugees. Indeed, welcoming refugees is a large part of the legacy of the United States. Given the dire circumstances and the difficulty in passing the test compared to the likelihood of a terrorist sneaking through, one must wonder if the screening process is too stringent? The high standards do screen out threats to public safety while nearly guaranteeing that any Syrian refugee that makes its way to the United States is not a threat. When Syrian refugees do pass the high standards set before them, what happens to them next and how can we be a part of it? That question will be answered in the next and final post, addressing what a refugee goes through when he or she finally makes it to the United States and what we, especially those of us in Colorado, can do to help. Any individual bringing a claim for gender-based asylum must do so under “membership in a particular social group.” However, merely stating that the individual’s “gender” constitutes as a social group is not enough. The social group cannot be based on the persecution the individual faced, and has to be specific, immutable, and socially visible. There is a fear that if an immigration judge allows a social group that is too broad, it will set precedent for a flood of women to come and claim asylum in the United States. Women, therefore, have had to describe their social group in convoluted and intricate ways, in order to be as specific as possible to be acceptable to immigration judge. As one scholar notes, “applicants often define groups in ‘overly complicated and unnecessarily detailed’ ways, including characteristics such as marital status, age, education level, the absence of male protection, opposition to abuse, transgression of social/cultural norms, and past experiences of harm.” These social group formulations are very narrow, sometimes illogical, and almost comical in length. Claims are especially difficult to bring when the persecution occurs within the private sphere—this means, the government of the country did not conduct the persecution, but instead, the members of the government refused to protect the individual from the violence. When the persecution occurs within the private sphere, the persecution must be on account of that social group; the persecutor either has or will inflict harm or suffering “in order to punish him [or her] for possessing a belief or characteristic [the] persecutor[seeks] to overcome.” The asylum seeker must show that the persecutor wanted to persecute her on account of her social group by providing evidence that the persecution occurred, which is often difficult within the private sphere, because there is often no witnesses or evidence. Women around the world suffer violence, such as female genital mutilation, honor killings, or domestic violence, at the hands of their fellow community members because it is “culturally acceptable;” however, when they flee to the United States to avoid this violence, they face many obstacles in getting their asylum applications approved. Kitty Robinson is a 3L at the University of Denver Sturm College of Law and a Staff Editor on the Denver Journal of International Law and Policy. Over the past month, Australian navy and customs officers have been accused of towing or turning back boats carrying Indonesian asylum-seekers. Australian Prime Minister, Tony Abbott, has reported little about Australia’s asylum-seeker policies, fearing that exposing such information may create a tactical advantage in a wartime scenario. The United Nations High Commissioner for Refugees (UNHCR) has previously expressed concerns over how Australian policies of border protection might violate international responsibilities. These new reports of towing and turning back Indonesian asylum-seekers now raises questions surrounding Australia’s adherence to international conventions and laws protecting refugees. Australia is just one of 144 states to have ratified the 1951 Convention relating to the Status of Refugees (Convention) and the 1967 Protocol amendment. In January of 1951, the United Nations General Assembly created the Office of the UNHCR to provide “international protection” to refugees. The Convention became effective in 1954 and played an important role in the UNHCR’s international refugee policies and protections. The Convention establishes several obligations that signatory countries must follow in order to provide appropriate protection and potential solutions for refugees. One such obligation is “non-refoulement,” a concept stating that “no refugee should be returned in any manner whatsoever to any country where he or she would be at risk of persecution.” Under this principle, countries party to this Convention should not return refugees to any country where they may face persecution, whether it is their home country or not. Furthermore, the Convention provides refugees an exemption from penalties for illegal immigration and provides them with protection from expulsion from the country. In addition to reports of towing and turning back boats, the Australian government has also been accused of purchasing lifeboats to be used in ushering asylum-seekers back to Indonesia. Australian Operation Sovereign Borders commander Angus Campbell has admitted to the purchase of lifeboats, but mimicking Prime Minister Abbott’s policy of secrecy over government operations, has not stated the intended purpose for the devices. Even Indonesian officials are angered by Prime Minister Abbott’s failure to open up about the specifics of the country’s border protection policies. 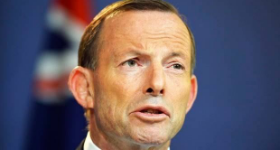 Although Abbott has denied some of these allegations, he has failed to make reports on the details of the Australian immigration control policies. Mark Dreyfus, active immigration spokesman for the Australian Labor Party, stated, “I’m not going to speculate because it’s for the government to explain the circumstances. It’s for the government to reassure Australians that everything that’s been done does comply with international law, that everything that’s been done complies with our obligations under the refugees convention.” Until the Australian government reveals the truth about their border protection operations, the rest of the world will continue to question the legality of their actions. Stacy Harper is a 3L at Denver Law and Marketing Editor for the Denver Journal of International Law and Policy. 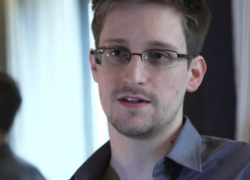 Snowden’s words in this letter may be powerful, but are they correct? Does he, and everyone else, have a right to seek asylum? And even if he has a right to seek it, does he have an automatic right to receive asylum? The “right of asylum,” sometimes called “political asylum” is embodied in Article 14 of the Universal Declaration of Human Rights: “Everyone has the right to seek and to enjoy in other countries asylum from persecution.” Even though the wording of the article itself says people have the right to enjoy asylum from persecution, this is generally considered just to grant a right to apply and not an absolute right to receive asylum. A basic “legal benchmark” that asylum-seekers must meet is having “a well-founded fear of persecution in their home country due to race, religion, nationality, membership in a particular social group or political opinion.” Without one of these qualifications, an asylum-seeker is unlikely to enjoy asylum in another country. Later, United Nations Conventions further explained what the right to seek asylum embodies. Provision F of the U.N.’s 1951 Convention Relating to the Status of Refugees clarifies that the rights of an asylum seeker do not apply to people who have committed serious non-political crimes. Generally, violent crimes or crimes in which “the seriousness of the criminal act outweighs the political aspect of the conduct,” are considered non-political. Those who have committed such crimes have committed non-political acts and are not protected by the right of asylum. So what do these international laws mean for Snowden? Certainly, Snowden has the right to seek asylum, but he may have trouble meeting the basic legal requirements that would grant him the right to receive asylum. First, he must need a fear of legitimate persecution based on membership in a particular social group or political opinion. However, if he is being prosecuted for the leaks themselves rather than persecuted for the social beliefs that drove him to leak the information, he may have trouble arguing persecution. Although leaking information is not necessarily a violent crime, various states could decide that he is being hunted for that non-political crime, negating his qualification for asylum. Snowden’s best argument is that he is a member of a persecuted social group – the social group of whistleblowers. To succeed in this claim, though, Snowden has to find a country that considers “whistleblowers” a protected class. And although Nicaragua, Bolivia and Venezuela have tentatively offered him asylum, he has one more hurdle: getting there. Many of the other states that Snowden has written in his quest for asylum require an asylum-seeker to be on national soil – whether that be in the country or in an embassy. In the transit zone of the Sheremetyevo Airport, Snowden is not on the soil of any of these places. Coupled with not having a valid passport, his traveling options are limited. The world continues to watch as state after state refuses Snowden’s asylum request, narrowing the options for the whistleblower. If Snowden stopped releasing information on the NSA, Russia might be willing to take him in, but is not willing to do so if he continues with his criminal activity. Stopping the leaks would solidify Snowden as a political refugee, persecuted for what he’s done, but allowing Snowden in while he continues in allegedly criminal activity would make his actions more criminal than political, weakening his status as an asylum-seeker. Snowden originally thought he had a friend in Ecuador, who has granted political asylum to Wikileaks founder Julian Assange, but Ecuador’s official stance (after a conversation between United States Vice President and Ecudaor’s President Rafael Correa) is that Snowden must make his way to Ecuadorean soil before his application for asylum can even be considered. Snowden’s next hope looks like Venezuela, but President Nicolas Maduro claimed on July 2 that he had not even received Snowden’s request yet. Perhaps it will be the state that determines either that whistleblowers are protected or that Snowden’s actions were more political than criminal, but if it does not, Snowden’s rights have not been violated. His right to seek asylum has been fulfilled. Whether he gets to enjoy asylum depends on whether any states think that he has been persecuted – and are willing to step up and say so internationally. Samantha Peaslee is a rising 2L and Managing Editor for the Denver Journal of International Law and Policy. 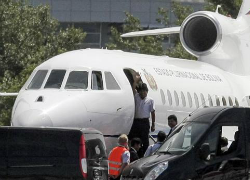 After attending a conference in Moscow, Bolivian president Eva Morales boarded a private airplane and began his journey home. However, shortly after departure, the plane was diverted to Vienna, Austria, a detour not originally planned by the president or his crew. Upon landing, it was reported that France, Portugal, Italy, and Spain had refused to allow Morales’ plane to pass through their airspace or, alternatively, conditioned passage on getting consent to search Morales’ plane once it was on the ground. Without a viable place to refuel, Morales was forced to land his plane in Vienna, where, allegedly without Bolivia’s permission, his plane was searched by airport police officers. Nothing – or no one – of interest was found. As a result, Bolivian officials are alleging their president was “kidnapped by imperialism” and that certain European countries had violated international law. The root cause of the incident can be traced back to an interview of Morales in Moscow, just days before he was scheduled to fly home, in which the president indicated that Bolivia would “consider the idea” of granting asylum to Edward Snowden, the infamous whistle blower wanted by the United States for espionage. The United States, seemingly unable to compel cooperation from its allies, attempted to downplay international support of the former 30-year-old NSA contractor by saying it would not “scrambl[e] . . . jets or engag[e] in high-level diplomatic bartering” to have Snowden returned to the states. Technically, it has done neither of those things. But pressuring European countries to deny the passage of any plane that might be carrying Snowden, a tactic that arguably threatened the safety of Bolivia’s president, may be just as serious. Already, the Union of South American Nations (Unasur) has agreed to hold an emergency meeting on the matter, and Bolivia’s UN ambassador has announced that the country will file a formal complaint with the UN, calling the incident an act of aggression. What exactly Bolivia plans to allege in its complaint is still unclear. It could narrowly define the incident as a breach of diplomatic protocol, or it could refer to the situation more generally, alleging that all states have the right to consider an application for political asylum free of pressure from more powerful states. Some are even calling it an act of piracy. Whether the actions of France, Portugal, Italy, and Spain are sanctionable remains unclear, but Bolivia feels strongly that, regardless, UN Secretary-General, Ban Ki-moon, should intervene. As details of the incident continue to surface, one thing is clear; Snowden has done more than expose secret U.S. surveillance programs. He set off a chain of events that has helped emphasize the need for a strong international legal system in a world that has become increasingly interconnected. After all, it is international law that “provides . . . stability and order and . . . a means of predicting the behavior of those with whom we have reciprocal legal obligations.” Hopefully the United Nations will take this into account as the world watches to see how it responds. J. Matt Thornton is a second year law student and a Staff Editor on the Denver Journal of International Law and Policy.